"Sophia has her life all planned out—but her plan didn’t include being jilted or ending up in Dakota Territory. Sophia Makinoff is certain that 1876 is the year that she’ll become the wife of a certain US Congressman, and happily plans her debut into the Capitol city. But when he proposes to her roommate instead, Sophia is stunned. Hoping to flee her heartache and humiliation, she signs up with the Board of Foreign Missions on a whim. It’s a passion shared by the Agency carpenter, Willoughby Dunn, a man whose integrity and selflessness are unmatched. The Poncas are barely surviving. When U.S. policy decrees that they be uprooted from their land and marched hundreds of miles away in the middle of winter, Sophia and Will wade into rushing waters to fight for their friends, their love, and their destiny." Catherine Richmond's debut, Spring for Susannah [you can read my review HERE], wowed me with its characters and its sweet portrayal of love surviving harsh trials. While Through Rushing Water didn't have quite the same personal impact for me, as far as depicting a horrific time in history with grace, understanding, and conviction, Richmond's sophomore novel does it all. Sophia is an intriguing heroine who has experienced terrible events, lived in various countries, and tried to forge an "important" future for herself. But when her latest plans are embarrassingly crushed, she finds herself headed to the Ponca Indian Agency, a place that hardly seems like the launching point for anything great - until she gets to know the people who live there. I loved seeing Sophia's character blossom as she uses her creativity and determination to bless the Ponca people. And I loved getting to know sweet Will, and seeing his love for Sophia help both him and Sophia grow in their faith. Through Rushing Water is a gentle read, in one sense, as there is some simmering suspense but a lot more of a focus on the characterization. But in another sense it is far from gentle, as it is a book that tells a deeply tragic tale, and it is horribly sad to see the way the Native Americans were treated. It is certainly a worthwhile read, though, as it instills important lessons (and lessons on what is truly important), bravely and with heart. In this world there are great, terrifying floods of rushing water - but this story reminds us that those waters should not be allowed to capture our focus or sweep away our heart. 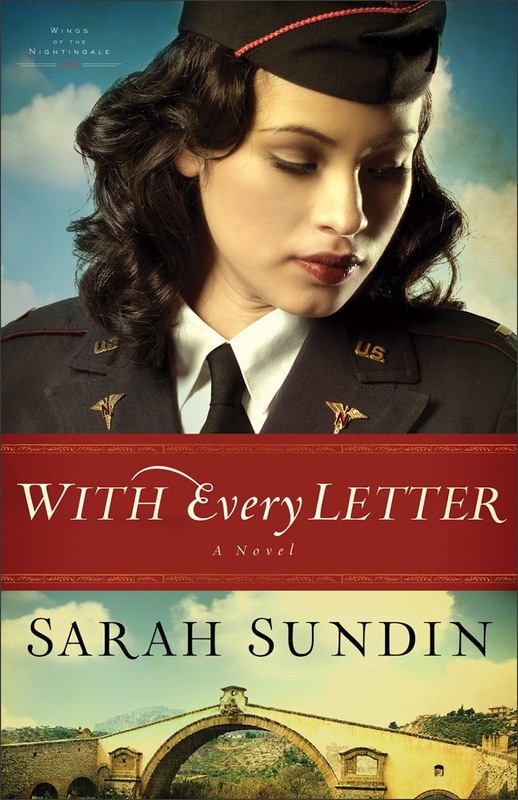 Combining a flair for romance with excellent research and attention to detail, Sarah Sundin vividly brings to life the perilous challenges of WWII aviation, nursing–and true love." When it comes to characterization and expertly building a historical setting for her characters, Sarah Sundin continues to astound. Her WWII books are wonderful - full of authenticity in background-painting details and real-life issues. With Every Letter is a marvelous beginning to the "Wings of the Nightingale" series, and a great addition to Sundin's WWII romance stories. For those who enjoy a lot of action in war novels, this is not Sundin's most action-packed book (although there's still plenty of tension and some fighting). But for those who enjoy a sweet love story and who can relate to characters who have difficulties interacting with others in social situations, this book is more than satisfying. From the very first letter that Mellie writes anonymously (and Tom's reactions to it), I fell in love with the story (and Tom). The dancing around of two souls who long to reach out but who fear what such vulnerability might bring to themselves and to each other, as well as the actual dancing the characters engage in, frustrates the mind and ultimately touches the heart. With beautifully crafted symbolism and characters (even including Sesame, the dog! ), With Every Letter is historical romance at its finest. I'm eager to see what Sundin writes next! 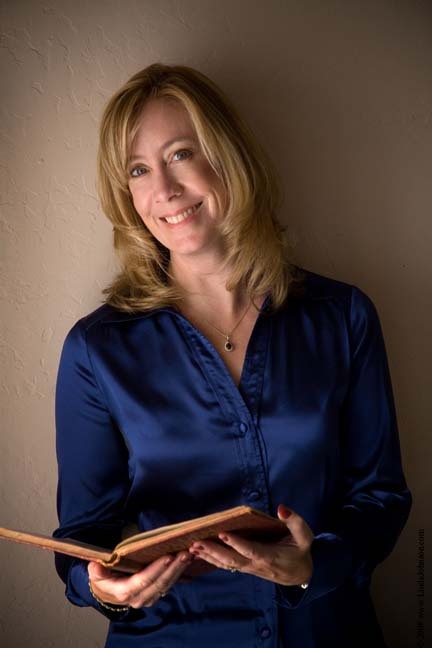 "Sarah Sundin is the author of A Distant Melody, A Memory Between Us, and Blue Skies Tomorrow. In 2011, A Memory Between Us was a finalist in the Inspirational Reader's Choice Awards and Sarah received the Writer of the Year Award at the Mount Hermon Christian Writers Conference. A graduate of UC San Francisco School of Pharmacy, she works on-call as a hospital pharmacist. During WWII, her grandfather served as a pharmacist's mate (medic) in the Navy and her great-uncle flew with the US Eighth Air Force in England. Sarah lives in California with her husband and three children. www.sarahsundin.com"
Blog Tour Schedule: Check out all the other reviews scheduled by clicking HERE. "Journey to Tennessee at the end of the Civil War. Heaven Wharton has been left in charge of her father’s farm, but weeks of facing marauders has finally taken its toll. Meaning to fire into the air, she accidentally shoots a man charging the house. Shocked, she and her sister Angel drag the semi-conscious man into the house and nurse him back to health. As Travis recovers he finds his heart turning to the possibilities of love. But can he and Heaven learn to accept God’s plan, however it unfolds?" 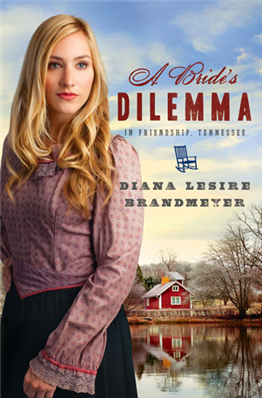 A Bride's Dilemma in Friendship, Tennessee is a clever story alternately peppered with humor and faith lessons. Travis practiced medicine during the Civil War - but now that the war is over, he wants nothing more than to breed horses on his own little piece of "heaven." A man's dying requests gives him a chance at his dream.... Maybe. Heaven and her little sister Angel have been keeping to themselves, waiting for word from their father and hoping that they'll have enough food to last until then. But when Heaven makes a rash, split-second decision, a series of events unfolds that leads to the truth being revealed and hope being found in unexpected ways. As far as the storytelling itself goes, it didn't entirely win me over. The plot and some of the characters are great, but I think I would have been engaged more if the sentences were more varied (not so much of "he did this" and "she said that"), and if there was more showing (more descriptive language) rather than telling. And the secondary characters - one in particular who factors into that "dilemma" mentioned in the title - are helpful to the plot, but I was left unsatisfied with where the story ends for them and how they might grow in their own life journeys. My "friendship" with the main characters made this an enjoyable read, though. The plot isn't super intense or exciting, and it concludes with some unanswered questions, but it has enough intrigue and enough sweetness to extend through the pages. A Bride's Dilemma is a fun, feel-good book for the gray days of the colder seasons. 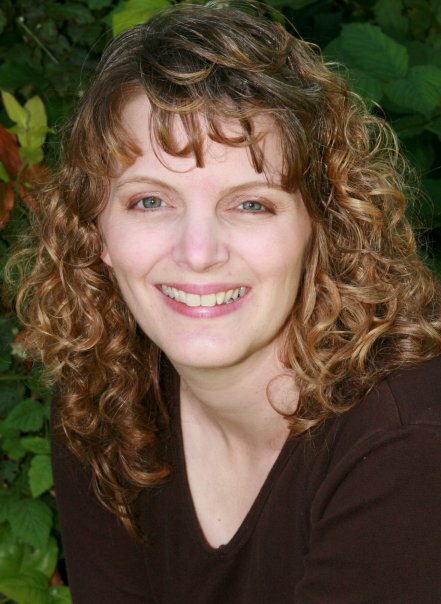 Jody Hedlund writes engaging stories, no doubt about it! This third release has a lot to love: a strong heroine, a battle of good vs. evil, plenty of romance, and a setting that is intriguing and full of all kinds of danger - from the freezing cold to wolves of both the animal and human variety. Storms abound throughout the pages as winter weather and evil actions must be faced. Unending Devotion is a well-plotted novel in that sense - plenty of twists and turns, plenty of challenges to the characters, and a well-placed climax. I confess that I didn't completely connect with the heroine, despite her admirable qualities - her choices are great for the plot, but there's just something about her strong will and her character's journey that didn't completely resonate with me. The lessons about trusting in God's timing and plan, as well as refusing to be apathetic and inactive when it comes to standing up for what is right, are important ones. Those lessons just didn't overly mesh for me in a powerful way. Unending Devotion is a great read. The romance is sweet, albeit a little overbearing at times. I think certain personalities might find the heroine (and perhaps the hero) more appealing than other personalities... But even though The Doctor's Lady is my favorite Hedlund book so far, Christian historical romance fans should be quite pleased with Unending Devotion. Just in case you haven't yet heard, I was interviewed on Rel's blog! Stop on by to learn some more about my reading habits, the history of my blog, my reviewing policy, my current writing project, and more! I'd love to see you there! Thank you so much to Rel for having me, and to all of my dear readers who make blogging such a joy for me! "Maureen O’Reilly and her younger sister flee Ireland in hopes of claiming the life promised their father over twenty years before. But after surviving the rigors of Ellis Island, Maureen learns that their NYC benefactor, Colonel Wakefield, has died, and his family, refusing to own his Civil War debt, casts her out. Alone, impoverished, and in danger of deportation, Maureen connives to obtain employment in a prominent department store. But she soon discovers that the elegant façade hides a secret that threatens every vulnerable woman in the city. Despite her family’s disapproval, Olivia Wakefield determines to honor her father’s debt, but can’t find Maureen. Unexpected help comes from a local businessman, who Olivia sees as more than an ally, even as she fears the secrets he’s hiding. As women begin disappearing from the store, Olivia rallies influential ladies in her circle to help Maureen take a stand against injustice and fight for the lives of their growing band of sisters. But can either woman open her heart to divine leading, or the love that might bring?" 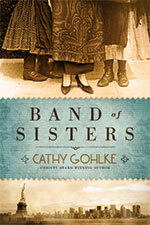 After reading Promise Me This and now Band of Sisters, I have to say that Cathy Gohlke has set a very high standard for well-written, well-researched historical fiction with powerful heart. Her passion and depth of feeling are evident in the pages, but the emotions never wreak havoc with her amazing storytelling talents. With a whole band of flawed, hurting, wonderful characters, Band of Sisters is a mosaic masterpiece. With an omniscient narrator, the story is told from various points of view, showing that the difficulties and horrors faced by one person or group of persons can affect many others - and should evoke the compassion and care of many more. But the story isn't bogged down by those multiple views, as it is mostly Maureen who carries the plot through, in more ways than one. Can grace that was once extended be offered again? Can love that followed Maureen to America follow her into deeper dangers? And can men and women of different classes and backgrounds come together to seek God's will and live out Jesus' love to others - even when the hurt becomes personal? One character in this book challenges her sister, "What would Jesus do with this gift of writing, this God-given love of writing? What would He write?" It is inspiring to see the author live out this challenge through this story, as addressed in the author's note at the end. Band of Sisters is rather long, rather dark, and rather sad in many way - not light reading by any means - and yet it is lovingly constructed and certainly meaningful, challenging the reader as it challenges the characters. A meaty and grand book! 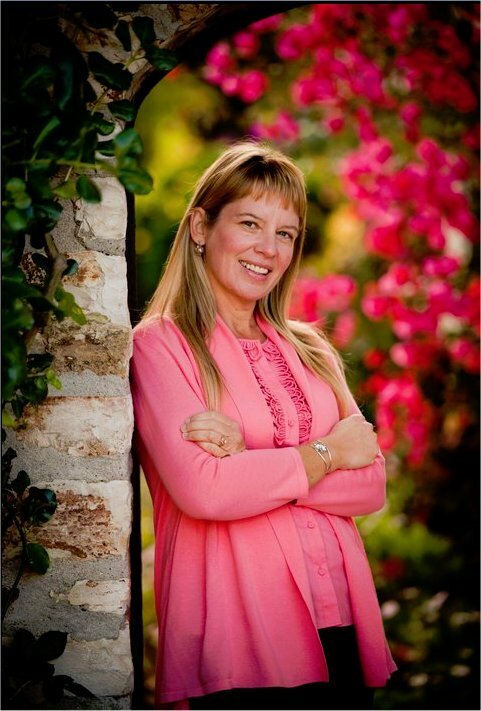 "Cathy Gohlke is the two-time Christy Award–winning author of William Henry is a Fine Name and I Have Seen Him in the Watchfires, which also won the American Christian Fiction Writers’ Book of the Year Award and was listed by Library Journal as one of the Best Books of 2008. Her newest book, Promise Me This, was released February 1, 2012. 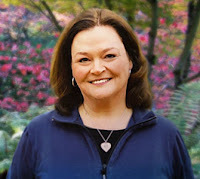 Her next book, Band of Sisters, will release September, 2012. Cathy has worked as a school librarian, drama director, and director of children’s and education ministries. When not traipsing the hills and dales of historic sites, she, her husband, and their dog, Reilly, make their home on the banks of the Laurel Run in Maryland." Learn more about Cathy on her lovely website! You can buy Band of Sisters now at Amazon.com. "The prophet Nehemiah’s cousin can speak numerous languages, keep complex accounts, and solve perplexing mysteries—and she’s a woman! When Sarah’s forced to marry the queen’s nephew, her career disappears but not her skills. After discovering irregularities in Darius’s books, she finds herself in grave danger—and learns that she has more to offer than her talents." Tessa Afshar builds a story full of tension and learning experiences and - eventually - romance on an interesting premise. When bright and studious Sarah is given the opportunity to work as the Senior Scribe to the queen, she embraces her life as a female anomaly in her culture. Neglecting her appearance and her social life, she elects instead to spend almost all of her time working. But when danger turns up and she is the one who averts a crisis, she is forced to accept a new opportunity that takes her away from all that is familiar and all that she achieved. Instead of being the end of her problems, as well as her future, this new turn of events might just prove to be the beginning of an exciting and meaningful new life...if she'll let it. Certainly an intriguing set-up for a story! 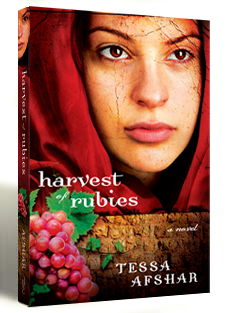 Harvest of Rubies has some great plot twists and some wonderful faith lessons interwoven throughout the pages. 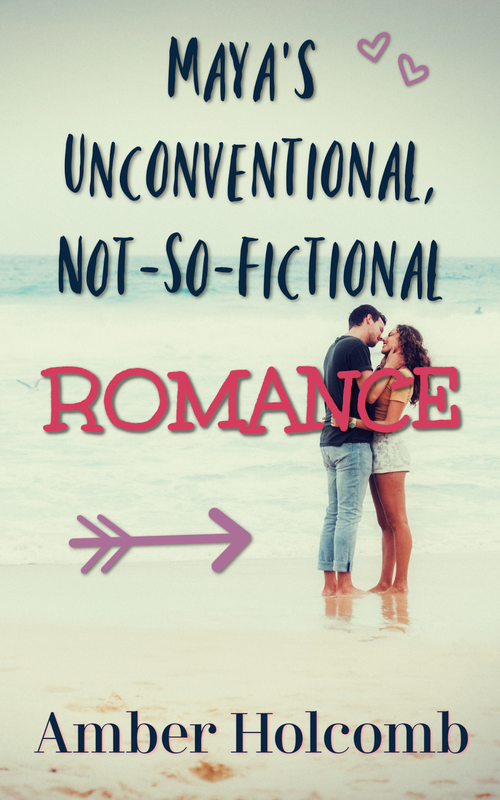 And romance-lovers, if you persevere through the set-up events, there really is some sweet romance in here - although it comes with a lot of drama, too! One thing to note is the use of first-person point of view. For some, it might make the story that much more personal. This is undoubtedly Sarah's story to tell, so I don't begrudge such a technique, and I think it worked well in certain ways. But in other ways, I do think third-person point of view might have made the story more dynamic, while avoiding some of the pitfalls of too much introspection and explanation of themes and messages. I can understand the desire to make sure the reader understands what you're trying to convey as an author, but as a reader I also want to be able to discover some of the depth to the story myself. Overall, though, if you're looking for biblical fiction that is both unique and full of timeless truths, Harvest of Rubies is a great read. "Gideon only ever cared about himself. Now that Lonnie is his wife, will he ever be worthy of her heart? 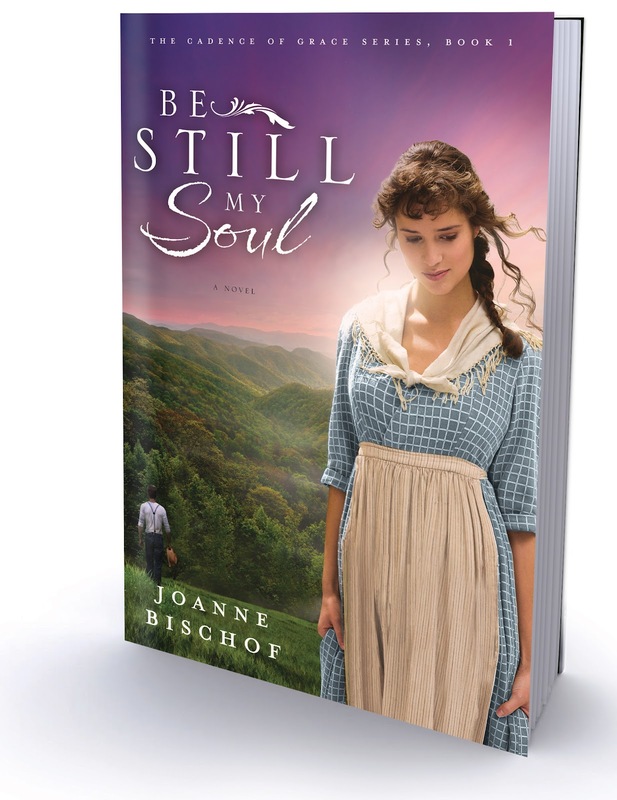 Set in the Blue Ridge Mountains of Virginia at the turn of the last century, Be Still My Soul weaves together the threads of yearning, hope, and redemption to form a tale that I hope will touch your heart, stir your senses, and evoke a greater understanding for the majestic God who created every hue and surface of the mountains I hold so dear." 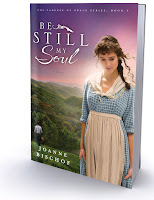 If you love a story with a mountain setting, romantic tension, and wonderful characterization, Be Still My Soul is a satisfying read! Gideon's and Lonnie's tale is one full of challenges and suffering - from costly mistakes, to arduous traveling, to the pain of giving second chances, as well as the humility required to accept them. But the end result of it all is full of hope. While the Appalachian-mountains setting is enough to attract me (personally) to this book, the quality that sets it apart is the growth of its two main characters. It's beautiful, in an initially tragic way, to see them go from a terrible place to a place of tenderness and maturity. Certainly not an easy or quick journey! Lonnie is a sweet, naive girl who clings to her faith and the love of her aunt and sister to get her through a difficult home life. Gideon is a boy who enjoys living in the moment - but his self-centered ways and his misconceptions about the realities of manhood are destined to get him into trouble. When these two young people are required to marry, the path before them is anything but smooth. Lonnie and Gideon have no idea what it will take to walk together - both literally and figuratively - as a married couple. But when they reach the point where there seems to be no hope left, love and peace might just find them in unexpected and challenging ways. An inspiring story! Introducing My New Freelance Editing Business! Some of you may recall a post I wrote back in July, in which I mentioned my idea of starting a freelance editing business. Well, that idea has finally been turned into a reality! I'm thrilled to announce that my website for "Editing Through the Seasons" is up, and I am open for business! I graduated back in May with a Bachelor's degree in English. I chose to major in English because I love the written word - I love studying literature; I love reading; I love writing; I love editing and proofreading. Getting a degree in English, without any specializations, seemed the best route to allow me to feed my passion and perhaps prepare myself for entering the publishing industry in some form or fashion (maybe as a publicist or an editor, and hopefully someday as a novelist!). After graduating, I ended up returning home. It's been great being with my family, and my parents were kind enough to give me the summer "off," so to speak. But now the time has come to start working. Since I want to stay around the area for the time being, I'm trying my hand at freelance editing. What do I love about the idea of freelance editing? Besides the fact that it allows me to work from home and gives me time to spend with my family and work on my own novel-writing, I love the thought of putting my degree and passion to use helping fellow writers and authors. My business is geared toward meeting a writer wherever he or she is at in the story-creating process (at whichever "season" the story is in). Whether someone is just starting out, or whether someone is almost ready to submit his or her work to an agent or an editor with a publishing company, I'm willing and ready to walk alongside that person on the journey, with everything on a "per project" basis. As an avid reader and book reviewer, I can offer general comments on the direction of the novel regarding plot, characterization, etc. And as far as proofreading and copy-editing goes, I am prepared to fine-tune a story in its grammar, syntax, and dialogue. Getting a business started was a little bit tougher than I first imagined - and I keep finding new challenges all the time! But thanks to my daddy, I haven't have to navigate all of this craziness alone. I would be honored if any one of you, dear readers, would be my first customer! 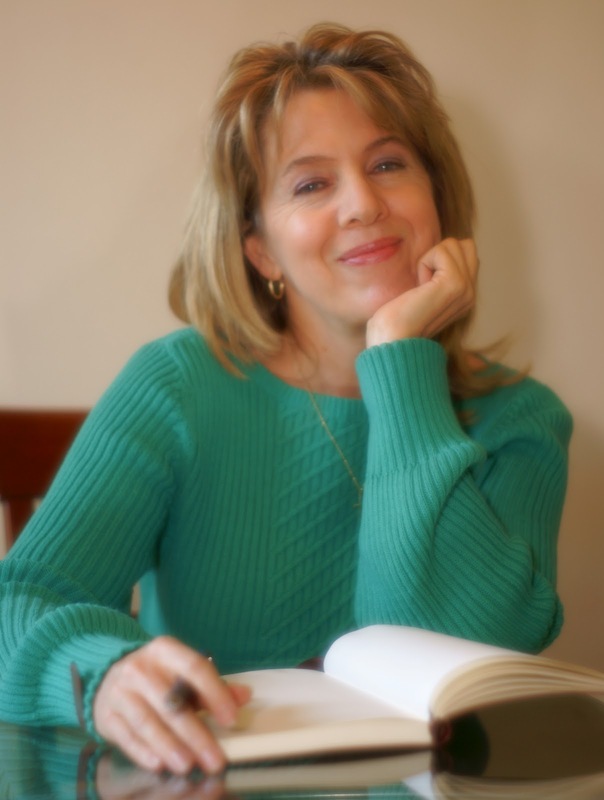 If you're an unpublished writer (or even a seasoned author!) who is interested in the services of a freelance editor, I would love to have you check out my website and see if I might be of service to you. =) If you have any questions, please feel free to leave a comment here or fill out the contact form on my website! If you're not looking for editing services right now, not a problem! But if you are willing to help me out, it would mean so much to me if you could blog or tweet about my business, post about it on Facebook, or take the button in the sidebar and post in on your blog. Spreading the word would be super helpful!! And one other thing: if you could please pray for me and any writers who might contact me, that would be wonderful! Thank you so, so much to all my blogging and author friends out there who have already encouraged me, prayed for this endeavor, and helped spread the word!! I believe that starting this business after having already been blogging for a couple of years - and after having made such dear friends because of it - is so much less daunting than it would have been if I had started from "scratch." If you've made it this far, thank you for taking the time to learn about this new adventure of mine! I hope to keep you all posted on how it goes! Abbi Hart won a copy of With Every Letter! 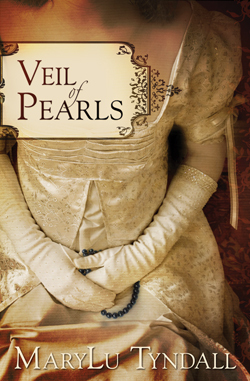 Amanda Moring won a copy of Veil of Pearls! Lacee Hogg won her choice of one of the "Tales of Goldstone Wood" books! 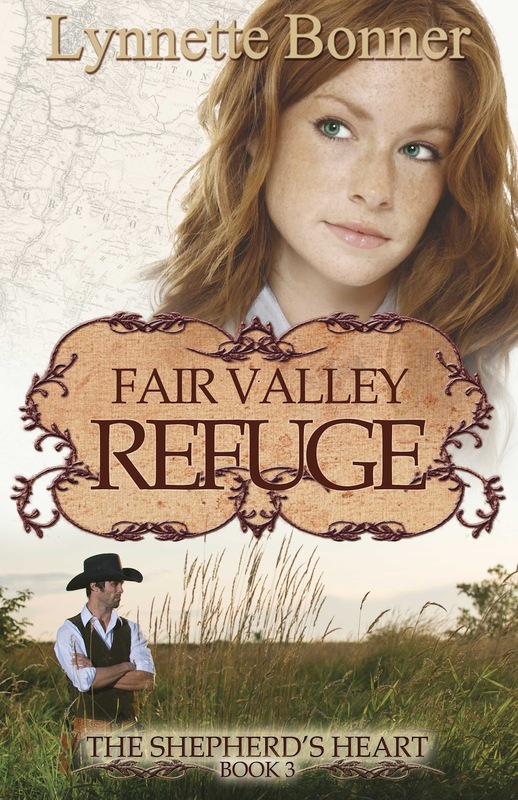 Melanie won an e-copy of Fair Valley Refuge! 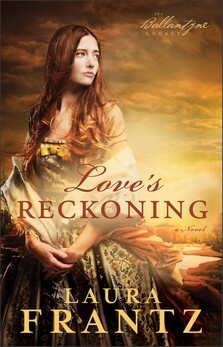 Abbi Hart won a copy of Love's Reckoning! Congratulations to all the winners! Be looking for my e-mail, and please respond by Wednesday (September 12th), or another winner will be chosen. Thank you once again to the authors for the great giveaways! "On a bitter December day in 1784, Silas Ballantyne arrives at the door of blacksmith Liege Lee in York County, Pennsylvania. Silas is determined to finish his apprenticeship quickly and move west. But because he is a fast worker and a superb craftsman, Liege endeavors to keep him in York by appealing to an old tradition: the apprentice shall marry one of his master's beautiful daughters. In this sweeping family saga, one man's choices in love and work, in friends and enemies, set the stage for generations to come. This is the Ballantyne Legacy." Ever since my first "trip" to the American frontier with author Laura Frantz (in The Frontiersman's Daughter), I've been awed and swept away by her writing style. Frantz writes historical romance in a sweet, rich way that somehow manages to be humble while still maintaining a sense of grandeur and mystique. Love's Reckoning continues that trend of excellence in characterization and setting descriptions and tension. It's a story of an unexpected love that is forced to face envy, misunderstandings, and hardships. It's a story of an enduring love that seeks the welfare of another and yet never completely loses sight of its own joy. 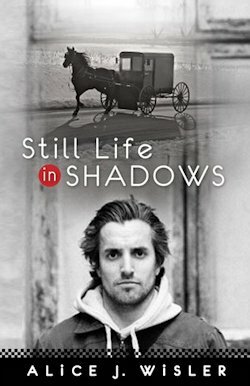 As the beginning of a series, this book maintains its own storyline - of how handsome and faith-filled Silas Ballantyne and the woman he loves (and who loves him) ultimately find their way together - while still introducing a broader storyline of a family's legacy that will take longer than one book to be resolved. While Love's Reckoning is certainly satisfying on its own, there's a certain character whose path I would like to know more about... And the teaser for the second book in the series definitely makes the reader's longing for more to the series that much more real! I believe my favorite Frantz book remains Courting Morrow Little, but Love's Reckoning is anything but disappointing, as it is a well-written, beautiful love story that has its own unique, wonderful charm (as all of her books do). End of Summer Bash: Party with Laura Frantz! If you love historical romance that is deep and wonderfully written, Laura Frantz is the author to know! She is so sweet and encouraging as a person - not to mention her amazing books! You can read my reviews of Courting Morrow Little and The Colonel's Lady HERE and HERE. My review of Love's Reckoning will be posted tomorrow, along with this week's winners! Today we're talking about Love's Reckoning! Read all the way through to learn how you can enter the giveaway! Amber: Welcome, Laura! What’s one summer-themed song you would love to hear at an “end-of-summer” party? Laura: Oh, that’s gotta be the Beach Boys. =) How about "California Dreaming"? Amber: That sounds great to me! (As I'm putting this post together, I keep playing the song over and over again, LOL!) Gotta love the Beach Boys! If the heroine of Love's Reckoning was planning an “end-of-summer” party, what might it look like? Laura: Since Eden spends so much time in the garden, she’d bring a big pitcher of lavender lemonade and a plateful of shortbread, her Scottish hero’s favorite treat. Since he’s also a blacksmith, they would have to play horseshoes! And, given Silas Ballantyne plays a mean fiddle, there would be plenty of music and dancing! Eden is quite adept at dancing though she gets precious little of it what with all the turmoil in her household. But when she goes to the ball at the neighboring estate of Hope Rising…oh my! Now for the hero of Love's Reckoning… What would he look forward to most about autumn? Laura: Autumn in Scotland – that’s tattie-picking time (potatoes for you =)), cooler nights, gorgeous fall foliage, bonfires… Silas Ballantyne’s favorite season in his native land is autumn. Amber: Ooh, autumn in Scotland sounds delightful! Could you please share a little more about Love's Reckoning? We’d love a brief snippet if you’d care to share one! Shifting in his chair by the window, he breathed in the scent of hot cider and cinnamon, strong and sweet. It threaded through the winter parlor, the very essence of autumn. For a moment he was cast back to the unending orchards of Blair Castle with their gnarled, low-hanging branches bursting with aldermans and lemon queens and lass o’Bowries. A far cry from the American varieties Liege touted. Still, he’d made note of those apples in his journal, for his and Eden’s orchard years hence. Newtown pippins and Roxbury russets and winesaps, to name but a few. Mrs. Lee was at his elbow with a steaming mug. He took it, murmuring his thanks, aware of the scrape of Liege’s cane across the plank floor as he made his way down the hall to bed. ’Twas only eight. Elspeth sat sewing across from Eden by the hearth. The bairns were asleep. Eden was looking at him, sewing forgotten in her lap, a spark of hope in her expression, as if daring to think they might be left alone. He set his book aside and glanced at Mrs. Lee. Quietly, as if adhering to some prearranged plan, she withdrew out the same door Elspeth had passed through minutes before and shut it softly behind her. For a moment neither he nor Eden moved and then he tugged the curtain closed, eyes returning to the door before resting on her. He ached to touch her, to breathe in her soft scent unhindered. No bairns. No overbearing father. No volatile sister. In mere days they would be left alone to experience the mystery . . . and they shall be one flesh. As he thought it, his heart seemed about to burst its banks. He reached into his pocket and withdrew a scrap of paper on which he’d penned a particular Scripture—a promise to carry them through the dwindling days. I will betroth thee unto me forever. “Silas . . .” Eden stood across the room, the candlelight calling out all the unforgettable details he loved—the clear depths of her blue eyes, the irrepressible warmth of her expression, every fire-threaded strand of her hair. Amber: Oh, Laura, what a romantic autumn scene! (And might I add that the cover of the book is just gorgeous? Perfect for fall!) Thank you for visiting with us today! 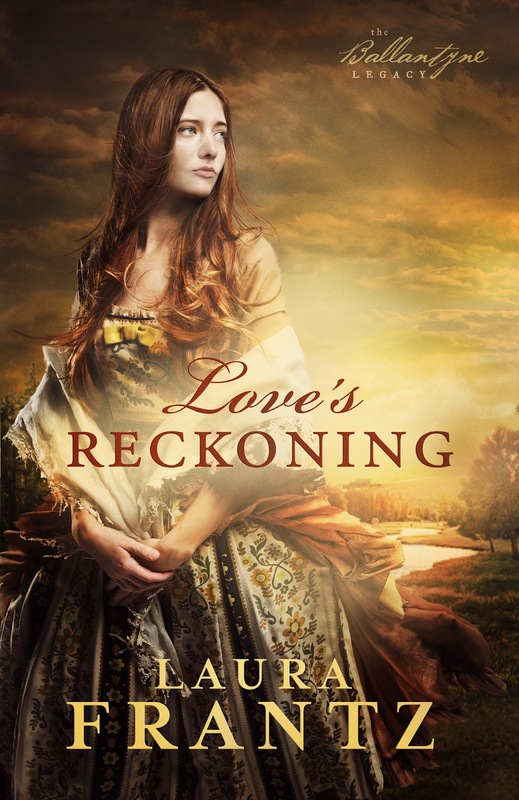 Readers, Laura is giving away a copy of Love's Reckoning today! To enter the drawing, leave a comment for Laura, including your name and e-mail address. All "End of Summer Bash" winners will be announced on Saturday, September 8th (tomorrow!). Tomorrow the winners will be announced, and the blog will be dressed in her autumn best for the new season. See you then, and don't forget to enter any and all giveaways ASAP! 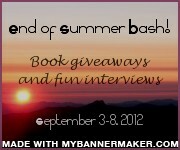 End of Summer Bash: Party with Lynnette Bonner! I'm pleased that today's guest is Lynnette Bonner, author of a Western romance series with plenty of characters to fall in love with and a lot of faith mixed in! You can read my review of High Desert Haven HERE. And you can keep reading to learn more about the next (third) book in the series, Fair Valley Refuge - and learn how you can enter the giveaway for an e-copy of the book! Amber: Welcome, Lynnette! What’s one summer-themed song you would love to hear at an “end-of-summer” party? I just love this song – maybe because it tells a bit of a story. If the heroine of Fair Valley Refuge was planning an “end-of-summer” party, what might it look like? Lynnette: Well, she’d have to keep her 3 adopted children happy, so likely they’d go out to the field where Rocky set up a rope swing for them. There would be crispy fried chicken, thick syrupy baked beans, corn on the cob, fluffy biscuits, and wedges of warm golden apple pie drizzled with cream for dessert. The whole town would be invited and Hannah would bring all the orphans from the orphanage. Mr. Smyth from the bank would probably want to initiate a three-legged race, and Rocky would talk Victoria into participating, much to her own chagrin. But fun would be had by all. Now for the hero of Fair Valley Refuge… What would he look forward to most about autumn? Lynnette: Rocky loves his family, so his favorite thing about autumn is all the work days they’d do together to put up food for winter. There’s hog slaughtering day, with the children scampering about everywhere and Victoria’s face in a pretty flush from standing over the hot stove all day. Then there are the days that Ma and Brooke and Sharyah come over to put up quarts and quarts of berry preserves, while he and Sky work on winterizing the barn for the young foals that were born late spring. And of course Autumn means that night comes on sooner, giving him more time in the house of an evening with Victoria and the kids… he loves to hear Victoria read to the children. Please share some more about Fair Valley Refuge. We’d love a brief snippet if you’d care to share one! Victoria Snyder gasped and snatched the newspaper closer to her face. “Oh! Today of all days!” How had she missed seeing the ad until just now? She stood and placed a kiss on Mama’s cheek, hoping the wild pounding of her heart could not be heard. In her own ears it sounded like the thunder of a wild stampede. Her mind rushed over today’s schedule. Would she make it to the train station on time? It would be tight, but she could make it. She had to make it. “Oh, Posh!” Mama waved away her joke with a flick of her wrist. Victoria covered her mouth as Mama grinned and rushed from the room in a flurry of frilled petticoats. She couldn’t stop a little giggle at the thought of Mama actually showing up at the church with all her rag curls still in. Wouldn’t that give Julia Nickerson something to talk about at the next quilting bee! Lifting the skirt of her new golden-yellow gown, she followed Mama to help her finish getting ready. Entering the room, she glanced around and smoothed a hand down the front of her dress. Everywhere she looked Mama’s touch was evident. From the colorful, hand-appliquéd floral quilt they’d sewn the year Victoria turned thirteen, to the braided rugs they’d just finished last summer – everything in this room would be a reminder of Mama. She fiddled with the pendant at her throat, unanticipated dread threatening to rob her of today’s joy. After the wedding, Mama and Dr. Martin were going on a wedding tour to San Francisco, California. And when Mama got back she would move into Dr. Martin’s little home above his office. Mama’s trunks were already packed and waiting by the door. Mama chuckled. “You’d better, or I will come after you with my rolling pin! Now,” she patted her hair and arched her dark eyebrows. Victoria stepped up behind her and deftly began pulling the rags from her hair. She glanced up and compared their reflections. They were about as different as any two women could be. Mama’s dark hair and coffee colored eyes graced a heart-shaped face with a smooth, clear complexion. It amazed her that anyone in this town actually believed she was Clarice Snyder’s daughter. Even Papa had been blessed with dark hair and bronze skin. Before Mama and Papa had moved to Shiloh they had lived in Nebraska. She could still vividly remember the taunts the children at school used to hurl at her. She swallowed and pressed away the memories. That was in the past. Still, she often wondered if she really did have vile blood running through her veins. Who were her people? Where had she come from? Victoria made an effort to lift her shoulders and put a smile on her face. She would get through this. Mama certainly deserved this bit of happiness after all she’d been through. Pulling her into a hug, Victoria rested her cheek atop the dark curls. “I know you aren’t. Things are just going to be different. It’ll just take a little while to adjust, is all. I’m so happy for you. And I’m really glad you are feeling so much better, lately. I don’t know what I would do if I lost you, too.” And that was the truth of it. Victoria chuckled. “Good! Now,” she set Mama away from her and spun her back towards the mirror, “we need to finish getting you ready. Sky Jordan said he would be here to get you at ten and it’s already a quarter past nine. We can’t have you late to your own wedding!” She removed the last few rags from Mama’s hair. “I can see him doing it, too.” Victoria plucked the wedding dress off the bed and gestured for Mama to stand. Settling the gorgeous champagne satin over Mama’s head, Victoria fluffed and fussed with the skirt until it lay in disciplined pleats over the voluminous petticoats. Stepping back she admired the ecru lace and pearls that graced the fitted bodice of the gown. “Oh Mama! You are so beautiful! Here.” She gestured to the stool in front of the dressing table again and Mama sat. Victoria bent and began fastening the tiny satin-covered buttons that lined the back of the dress. Victoria fastened the last button and stood. Her lips pressed together, she reached for the brush and styled Mama’s hair for the beautiful pearl combs. Nothing she said would keep the morning peaceful. Mama loved Rocky and had been gently pressuring Victoria in his direction for years – ever since Victoria had innocently proclaimed on her thirteenth birthday that she thought she loved him. Mama arched a slim, dark brow. Victoria gave her a cheeky smile, knowing she hadn’t promised what Mama really wanted to hear. A gleam of satisfaction leapt into Mama’s eyes and she nodded her acquiescence to Victoria’s promise. There. Now Mama could go through the day with a light heart. And it wasn’t like she was in any danger of having to follow through on her promise. Rocky was never going to pay attention to her in that way. So she would never have to worry about having a lawman for a husband – A lawman who could be killed in the line of duty anytime he went to work, or even stepped out his door to call in the dog. And that would definitely ensure her future happiness. Amber: Great set-up for a conflict-ridden romance! And that's unique to have the heroine start out by helping her mother prepare for her wedding. Thanks for joining us today, Lynnette! "I’m offering an electronic give-away of Fair Valley Refuge, so it is open internationally. I can give an .epub format, a PDF format, or a .mobi format. So the book can be read on pretty much any reading device a reader might have." Awesome! So, if you would like a chance to win an e-copy of the book, leave a comment for Lynnette, including your name and e-mail address. All "End of Summer Bash" winners will be announced on Saturday, September 8th. Tomorrow's guest writes about the American frontier with wonder and grace, and her latest cover has a color scheme perfect for the coming season. Our last interview and giveaway of the week are ones you don't want to miss! End of Summer Bash: Party with Anne Elisabeth Stengl! Amber: So glad to have you visit, Anne! What’s one summer-themed song you would love to hear at an “end-of-summer” party? Anne: Well, at risk of sounding terribly cliché, I suppose my favorite summer song would be the "Summertime" aria from Porgy and Bess by George Gershwin. It's such a gorgeous song, and I've performed it myself back in my jazz-singing days! Not an upbeat melody so much as lazy and a little melancholy, just like the end of summer should be. Amber: I found this strictly instrumental version of "Summertime," as performed by the Vienna Symphonic Rock Orchestra. I like the sound of it - and I agree that it's a wonderful "summer-is-winding-down" song! So, if the heroine of Starflower was planning an “end-of-summer” party, what might it look like? Anne: As a girl, Starflower, the heroine in my upcoming novel, looks forward to the close of summer because it marks the end of the Campaigning Season when all the warriors of her village return from battle. An end-of-summer party would be an enormous, village-wide celebration to welcome the warriors home, and Starflower would be very busy preparing a great feast! She would harvest mangos from the grove near her father's house to brew up mango cider, which she must do by herself now, since her mother died . . . though her baby sister, Fairbird, might try to "help!" One of the favorite celebration foods Starflower would make would be a very spicy dish of onions and little fish caught from the stream nearby. She would cut up the onions and mix them with spices she ground herself, cinnamon and ginger and peppers grown in her own garden. If she can get her hands on a little sugar, she'll add that as well and cook it all up on a hot stone over coals, adding chunks of fish as it cooks. All the warriors home from battle will love this flavorful concoction! Starflower would not be allowed to participate in the games, however. Young boys of the village will have foot races, spear-throwing competitions, wrestling matches and, though I'm sorry to say it, dog fights. Starflower disapproves of the dog fights, and she won't let her little sister watch. When evening falls, Starflower might be allowed to perform the end-of-summer dance with the other young girls of her village, while the older women beat drums and the Eldest of the village sings in his deep, warrior's voice. This song would honor both those who died in battle and the summer coming to its end, preparing for the dying time of autumn and the sleeping time of winter. Starflower always cries when she hears this song, for it makes her think of her dead mother. Amber: I love your descriptions, Anne! Sounds like an exciting, moving time. Now for the hero of Starflower… What would he look forward to most about autumn? And clothe the ground in blankets meant for slumber. And life renewed. But now, dear world, sleep on! And wait, wait, wait to hear again the song. Amber: That's beautiful!! (But don't tell Sir Eanrin - he already has enough of an ego, I'm thinking! *Wink*) Sir Eanrin is a favorite of many, so I'm sure there are lots of readers (like me!) who are excited that he is the hero of Starflower! Please share a little more about your latest release. We’d love a brief snippet if you’d care to share one! But you'll have to pick up Starflower to see what happens from there! Amber: Oooh, that's so cruel, Anne! What a place to stop! ;) Can't wait to pick up the book and continue reading. Thank you for sharing with us! "I'm game to do an international giveaway. 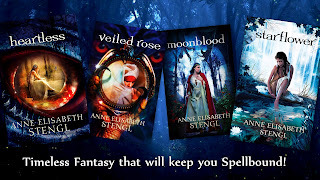 The winner may choose any one of the four 'Tales of Goldstone Wood' - Heartless, Veiled Rose, Moonblood, or Starflower - as her prize. However, winner, if you choose Starflower, you'll have to wait a few months, since that novel does not release until November!" 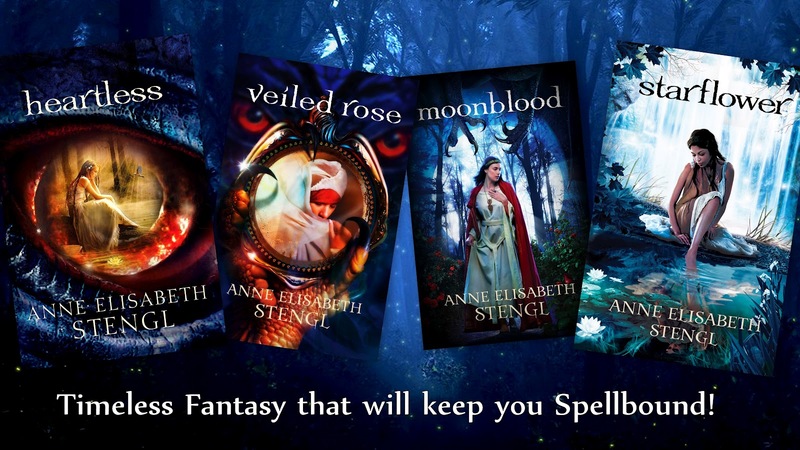 For a chance to win, just leave a comment for Anne, including your name and e-mail address, as well as your book choice. All "End of Summer Bash" winners will be announced on Saturday, September 8th. My 2 cents: I think this series is best appreciated in order, so if you're new to the "Tales of Goldstone Wood," I highly recommend starting with Heartless. However, my favorite of the series so far is Moonblood. Of course, the decision is up to you, and I really don't think you can go wrong with any of her books, but I'd just thought I'd throw that all in! As for tomorrow's guest, she writes historical romances with a Western theme, suspense, and a strong emphasis on faith. So come on over to learn about her latest book - and enter for a chance to win it! End of Summer Bash: Party with MaryLu Tyndall! 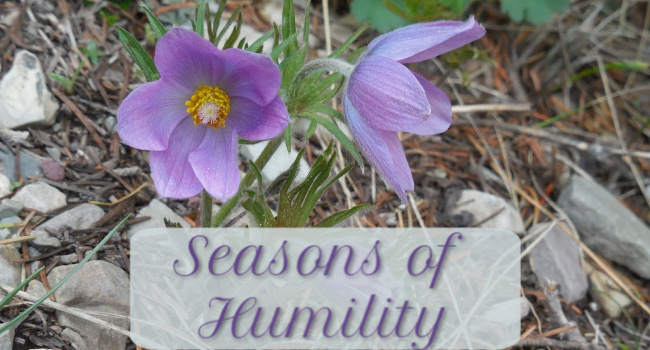 Amber: Welcome back to "Seasons of Humility," MaryLu! What’s one summer-themed song you would love to hear at an “end-of-summer” party? MaryLu: Tough question!! I can’t think of a single summer-themed song that I’m familiar with. Hmm. Well I suppose anything by the Beach Boys would suffice. Their music always makes me think of lazy summer days playing in the surf and sand when I was a kid growing up in Florida. Amber: Let's go with "Surfin' U.S.A."! Everybody can sing and dance along, if you'd like! So, MaryLu, if the heroine of Veil of Pearls was planning an “end-of-summer” party, what might it look like? MaryLu: Being a runaway slave who looks white and who has managed to slip into Charleston High society, I believe Adalia Winston would love to throw a huge party at her fiancé’s plantation house, complete with a full banquet of sweet tea, lemonade, fried fish, some of that famous Charleston rice, and fresh fruit and cake. There would also be a full orchestra playing and tables and chairs set up on the back lawn beneath huge umbrellas decorated with festoons of flowers. But the real surprise would be that she would invite all the slaves to attend the party, not the plantation owners or task masters! Now for the hero of Veil of Pearls… What would he look forward to most about autumn? Amber: Oh, yes - that sneaky, love-sick man! Please share a little more about Veil of Pearls. We’d love a brief snippet if you’d care to share one! MaryLu: Veil of Pearls is an adventurous, romantic story about a runaway slave from Barbados, who, because of her light skin, manages to blend into Charleston and start her life anew. She is always looking over her shoulder, worried that her prior owner will find her, and therefore shuns the attention of a wealthy plantation owner’s son who has taken a fancy to her. She hates slavery and detests everything he stands for, but Morgan feels alive when he is with Adalia and finally sweeps her off her feet into the opulence of Charleston high society. But Adalia's new life comes at a high price—that of denying her heritage and her zeal for God. How far is she willing to go to win the heart of the man she loves? And when her secret is revealed, will that love be enough, or will the truth ruin Morgan and send Adalia back into slavery? “I adore her. She’s the only bright spot in my otherwise dismal life.” He faced her and she saw emotion misting his eyes. But his statement had already shattered any possible effect. “Ah, yes, poor rich boy. All that wealth, all those parties.” Adalia turned to leave. She wanted to respond curtly that of course she didn’t, how could she? But the sorrow in his tone stopped her. She turned to face him. The usual devilish twinkle in his eyes dissolved beneath a hollow melancholy. She shrugged off the sympathy it caused. No doubt it was but another one of his tricks to enslave an innocent woman’s heart. “I don’t normally attend St. Michael’s, though now that I know where to find you, I’m sensing a call to deeper spirituality.” He grinned and acknowledged the greeting of a passing gentleman. “Ouch. Milady wounds me deeply.” He pressed a hand over his heart. His green eyes flashed. A breeze loosened a strand of hair from his queue, leaving it dangling over his impervious jaw. She noted the way the sunlight glinted specks of gold in the dark whiskers on his chin. “Yes, now that you mention it, I do,” he said with a grin. She’d wager that most women did precisely that. Frowning, she eyed the parishioners exiting the church. Still no sign of Doctor Willaby. Surely it would be safe enough to walk home alone in the daylight. Anything to rid herself of this rogue and the odd feelings he invoked. The clip-clop of horses’ hooves and the grate of wheels grew louder as a landau passed. “If you’ll excuse me, Mr. Rutledge.” Turning, she started to leave. “You may not.” She forged ahead. “Why do you hate me so?” A pinch of sorrow spiced the shock in his voice. She stopped and eyed him. The social season had begun in Charleston, and much like the season in London, it was a time when the affluent and powerful forsook their plantations to converge on the city for balls, plays, concerts, and general frivolous amusements. That was all she was to him—an amusement. Amber: Thank you for chatting with us today, MaryLu! I look forward to your next release, Forsaken Dreams! Readers, MaryLu is giving away a copy of Veil of Pearls to one of you! For a chance to win, just leave a comment for MaryLu, including your name and e-mail address. All "End of Summer Bash" winners will be announced on Saturday, September 8th. Tomorrow's guest is a super-talented fantasy author. Her books are amazing, and they move me to tears! I can't wait to share more with you - including a chance to win one of her books! End of Summer Bash: Party with Sarah Sundin!